ScoreGetter offers comprehensive USMLE Coaching in Chennai . Access the resources and prepare for the medical boards from comforts of your home. ScoreGetter has successful trained over 2000 medical grads from Chennai and have successfully paved the way for their residency program in the United States of America. 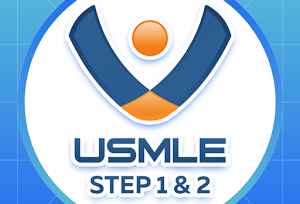 ScoreGetter USMLE an innovative USMLE prep program designed to help medical students excel on the USMLE board exam. 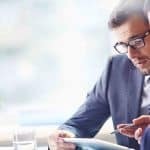 With a team of experienced physicians, we were able to develop a comprehensive review to help students master the USMLE/COMLEX preparation with structured curriculum, collating high yield topics relevant to the USMLE step 1 and step 2CK exam and created a platform that will cater to all your USMLE requirements. Our Mission is to provide world class education for medical students by integrating all the concepts taught in medical school into a very easy to understand online video lectures, using white board illustrations, real world clinical examples, mnemonics, animations, and long term retention and understanding of difficult clinical concepts. We also use a simple algorithms, organized curriculum and real time analytical data to track student’s performance. Learn how to study from for USMLE from in depth and in detail. Never memorize facts from First Aid for USMLE anymore. Pass the USMLE by understanding how the boards will question you to test your knowledge. Call us now to help us script your success story. Join thousands of students who have successfully passed the USMLE. Call us on 044 45040022 now..